Just barely out of high school, emo-pop outfit Panic! 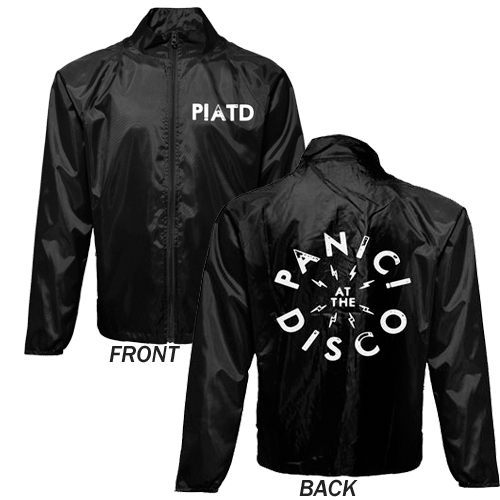 at the Disco (or PATD, P!ATD, Panic!, P@TD) burst out of suburban Las Vegas in 2005 with their full-length debut, A Fever You Can't Sweat Out. Taking their name from a line in Name Taken's "Panic," the group materialized when friends Spencer Smith (drums) and Ryan Ross (guitar) grew tired of covering blink-182 tunes together and thus recruited classmates Brendon Urie (guitar/vocals) and Brent Wilson (bass) to complete the quartet. Crafting pop-influenced songs with theatrical touches, quirky techno beats, and perceptive lyrics, Panic! at the Disco posted some demos online and soon caught the attention of Decaydance, the Fueled by Ramen imprint headed by Fall Out Boy's Pete Wentz. Even though the band had yet to play a live show, they subsequently became the first band signed to the label. With their record issued in September 2005, the guys hit the road that fall on the successful Nintendo Fusion Tour alongside Fall Out Boy, Motion City Soundtrack, Boys Night Out, and the Starting Line. As their single "I Write Sins Not Tragedies" found its way into TRL hearts (and the Top 40) by the early months of 2006, the band kept the momentum going on the road with the Academy Is..., Acceptance, and Hellogoodbye. Proving to be a popular lineup, the tour consistently sold out venues across the country. Wilson was fired from the group mid-year; Panic! pressed on with their friend Jon Walker on board for a full summer of headlining dates around the country that culminated with appearances in Chicago at Lollapalooza and overseas at the U.K.'s Reading and Leeds festivals. Their second single from Fever, "The Only Difference Between Martyrdom and Suicide Is Press Coverage," also began making waves on radio and TV, as the guys picked up Video of the Year at MTV's yearly VMA ceremony, beating out heavy hitters like Madonna and the Red Hot Chili Peppers. A collector's boxset version of Fever, full of random Panic paraphernalia and a DVD, came out just in time for the 2006 holiday season.